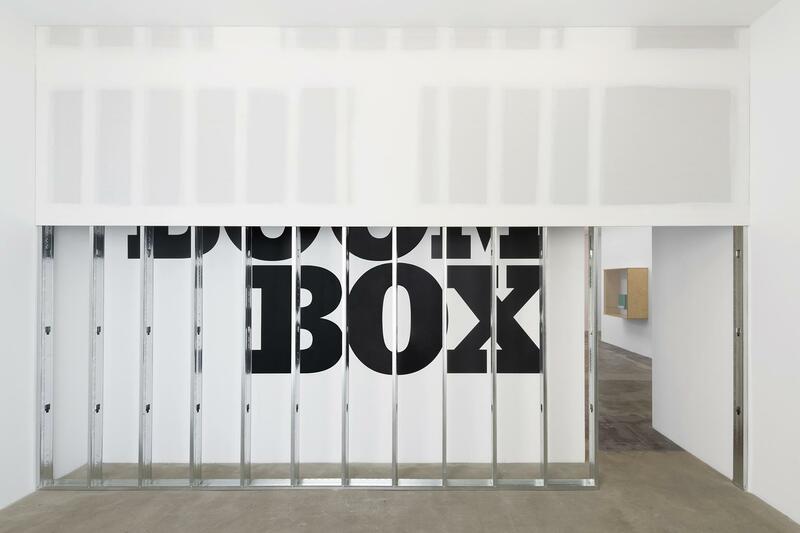 In an adjacent gallery space, the work Display #104—boom box consists of a text partially hidden behind an exposed aluminum and plasterboard wall. 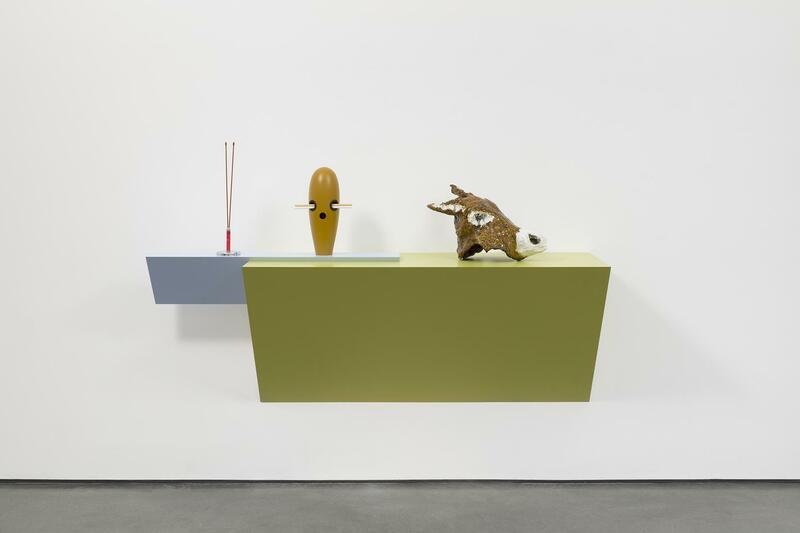 The subject of the text alludes to previous elements in Steinbach’s oeuvre— namely the use of found objects that are embedded in our collective consciences and cultural experiences. Display #104—boom box offers itself as a thread that weaves a conceptual tie between past works and the new shelf arrangements displayed in the main gallery space. Shelf arrangements, which have become iconic in Steinbach’s practice, reveal the artist’s distinct sculptural vocabulary: everyday objects, removed from their original context and placed atop handcrafted wooden shelves, transmute into a sculptural ensemble. 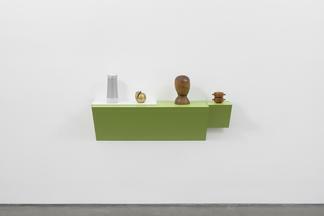 The role and diversity of materials within the artwork are underscored. 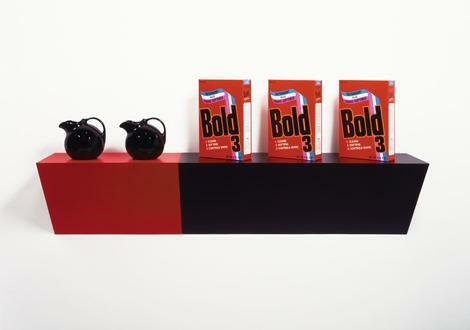 By speculating that ordinary objects may be raised to the level of art, the artist explores the social rituals of collection and arrangement, and reminds viewers that display is a manifestation of visual communication. Central to this new group of shelves is the innovative use of smart speaker devices as part of the sculptural arrangement. The virtual assistance device— a functional object that is detached from its original context, yet maintains its functionality— generates a new non-linear, narrative; a vocabulary that needs to be identified in terms of looking, assessing, observing and participating. 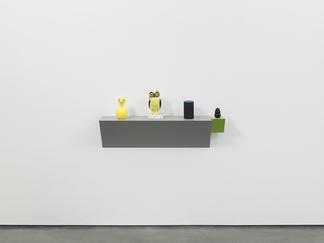 Steinbach has been incorporating electronic devices, such as digital clocks and tape recorders, into his shelf works since the 1980s. These commonplace objects, with their ability to transmit information, can be seen as predecessors to the smart speakers presented in his latest body of work. 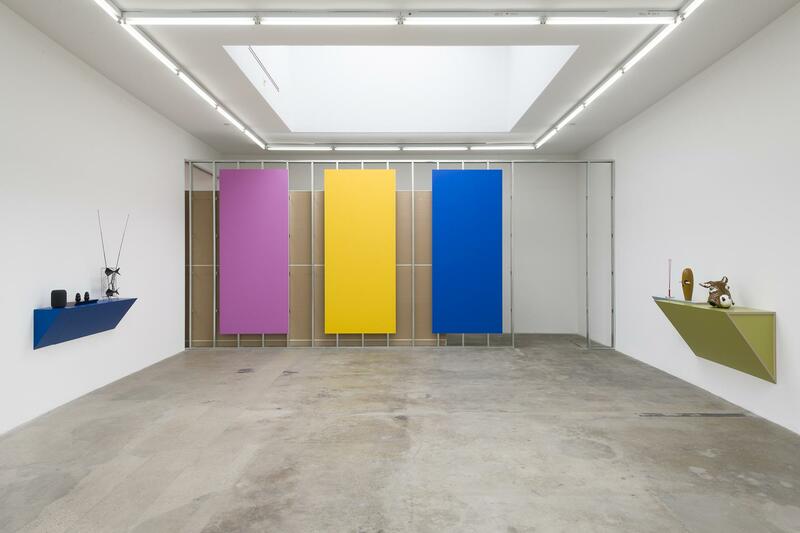 By utilizing the smart speaker—a new technology of today, Steinbach takes his decades-long investigation to a new level and elicits piercing questions about the psychological and cultural context of the object. 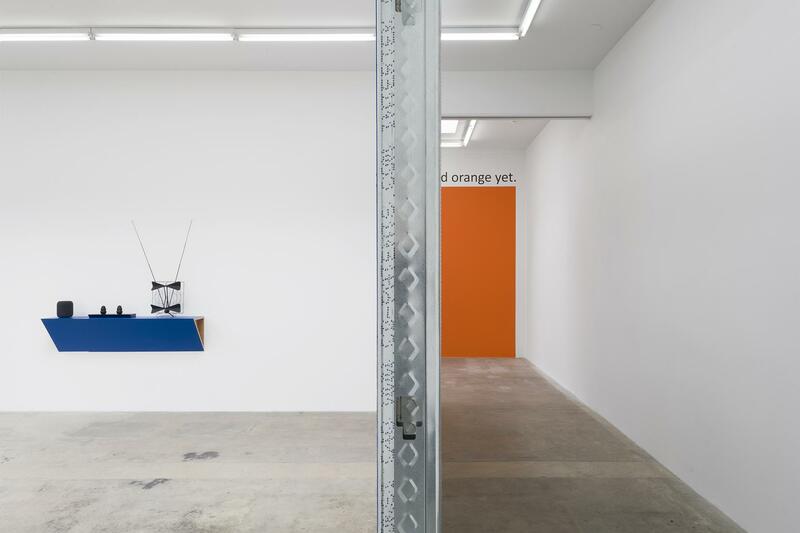 Holding a wall of the back gallery is an expansive wall painting consisting of the color orange along with the line—mypoemisfinishedandIhaven’tmentionedorangeyet—from the poem “Why I Am Not a Painter” by Frank O’Hara. 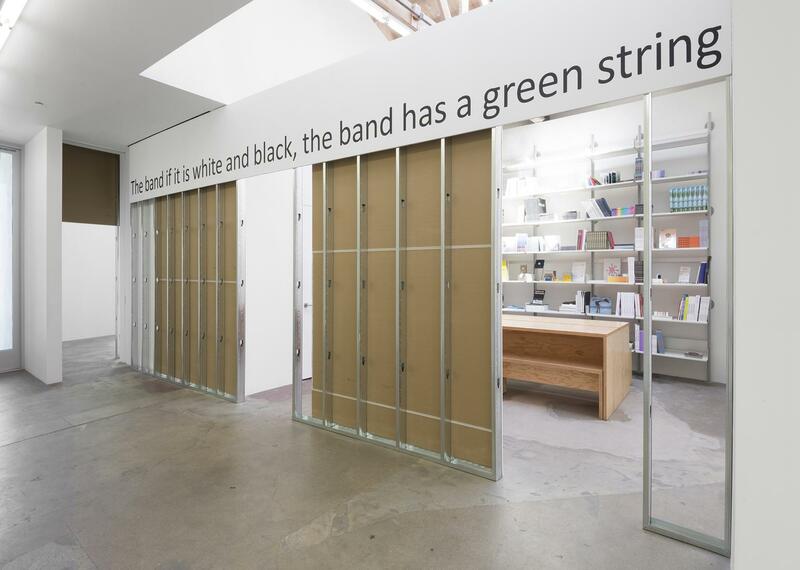 Here, Steinbach challenges our perception of architecture in the relationship between language, color and cultural structures, encompassing the core themes of the exhibition. Born in Rehovot, Israel in 1944, Haim Steinbach has lived in the United States since 1957. He received a BFA from Pratt Institute in 1968, followed by an MFA from Yale University in Connecticut in 1973. In 2018, Steinbach presented a solo exhibition titled, every single day, at Museum Kurhaus Kleve, Germany. The exhibition will travel to the Museion Bolzano, South Tyrol, Italy in May 2019. Also, in 2018, Steinbach presented zerubbabel, the inaugural exhibition of Magasin III, Jaffa, Israel. 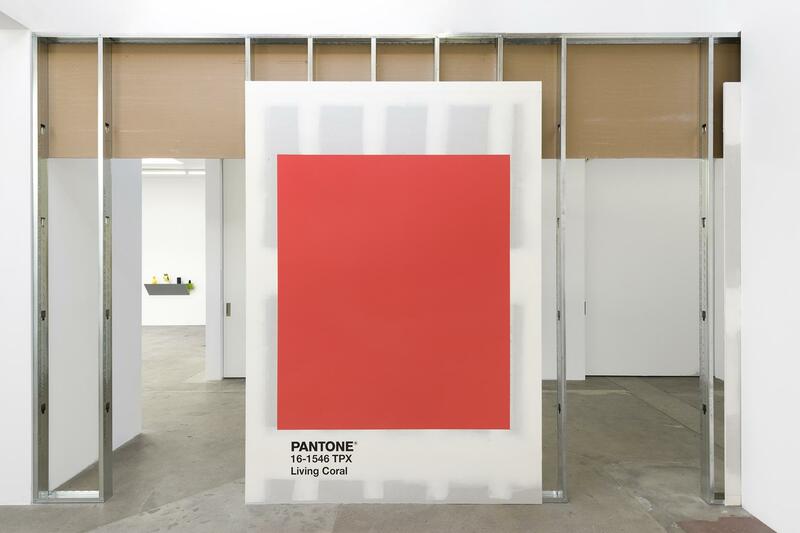 In 2013, the Hessel Museum of Art at Bard College in New York mounted a major exhibition of Steinbach’s “Displays,” his site-specific installations since the early 1970s. Entitled once again the world is flat, the exhibition traveled to Kunsthalle Zurich and the Serpentine Gallery, London. Other notable solo exhibtions include The Menil Collection, Houston (2014); Statens Museum fur Kunst, Copenhagen (2013-14); Berkeley Art Museum, UC Berkeley (2005); Museum Moderner Kunst, Vienna (1997); Castello di Rivoli Museo d’Arte Contemporanea, Turin, Italy (1995); Kunsthalle Ritter, Austria (1994); Osmosis at the Guggenheim Museum, New York (with Ettore Spalletti), (1993); no rocks allowed at Witte de With Centre for Contemporary Art, Rotterdam (1992); and CAPC musée d’art contemporain, Bordeaux (1988). His work was presented at the 1999 Venice Biennale as part of the 47th International Art Exhibition curated by Germano Celant, and featured in Documenta IX, Kassel, Germany (1992), curated by Jan Hoet. Steinbach’s work has also been included in important group exhibitions at The Museum of Modern Art, New York; The Museum of Contemporary Art, Chicago; The Hirshhorn Museum, Washington D.C.; Tate Liverpool, Liverpool; Victoria and Albert Museum, London; Palais de Tokyo, Paris; New Museum, New York; Stedelijk Museum, Amsterdam; Museum of Contemporary Art, San Diego; Musée Rodin, Paris; The Jewish Museum, New York; Museo Reina Sofia, Madrid; and The Louisiana Museum of Modern Art, Humlebaek, Denmark. The artist’s work is represented in the permanent collections of The Museum of Modern Art, New York; The Metropolitan Museum of Art, New York; The Whitney Museum of American Art, New York; The Dallas Museum of Art, Dallas; The Guggenheim Museum, New York; Tate Modern, London; The Museum of Contemporary Art, Los Angeles; Albright Knox Museum, Buffalo, NY; The Carnegie Museum of Art, Pittsburgh; The Hammer Museum, Los Angeles; Stedelijk Museum, Amsterdam; Centre Georges Pompidou, Paris; Israel Museum, Jerusalem; Museum Moderner Kunst, Vienna; and The Museum of Contemporary Art, Chicago.